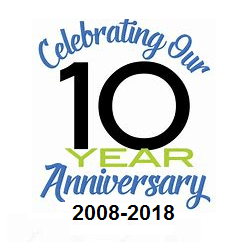 Welcome to Homeschooling Teen’s 10th Anniversary Issue! Our very first issue in October 2008 featured BarlowGirl and Patrick Henry College. The Barlow sisters have since disbanded. This fall, PHC had the largest incoming degree-seeking class in the history of the college. And here we are, still bringing you a homeschooling teen profile and homeschool-friendly college every month! PragerU presents the ideas that led to the creation and development of the freest and most prosperous nation in history – The United States of America. This article covers how students can implement breaks and rest within their day, so they can boost — and not hinder — their ability to get their work done efficiently and well. Even if you have little or no work experience, these guidelines will help you to make a great entry-level resume. Here is a great scholarship opportunity that not only offers a generous award, but the written portion is actually something that will be useful to you! Enough is enough; no one should ever be subjected to such dirty smear tactics as we’ve seen in the character assassination of Judge Kavanaugh. Here are a few scary Bible stories for you to read around Halloween. One of the most famous accounts of living under the Nazi regime of World War II comes from the diary of a 13-year-old Jewish girl, Anne Frank. From making a statement to special occasions, these sweatshirt decorating ideas are trending in style.